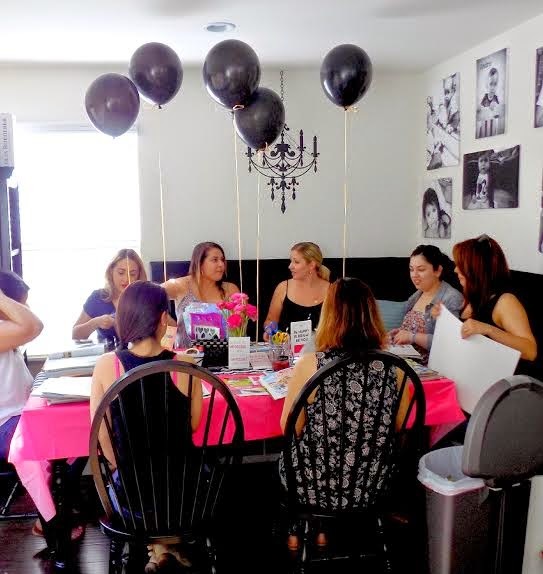 I finally had my Vision Board party and it was so much fun! Twelve lovely ladies showed up and we had an amazing time. 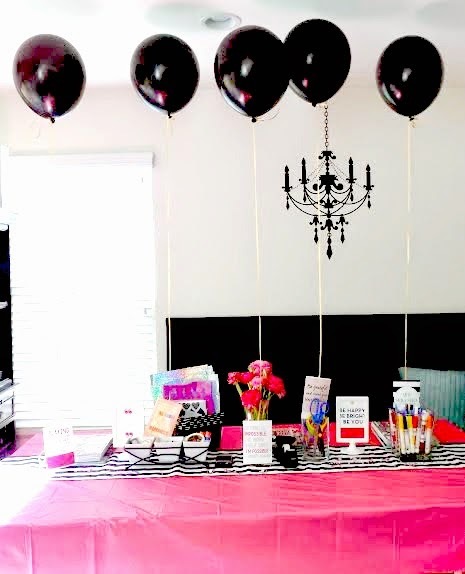 The party was stocked with magazines, scissors, glue, poster/cork boards and most importantly...SANGRIA! 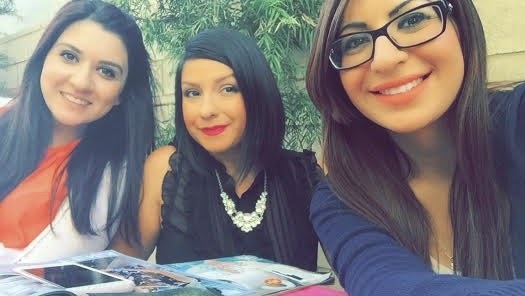 It was amazing sharing our life goals and dreams. I went with a bit of a Kate Spade theme. Who has more positive quotes on their brand than Kate Spade? 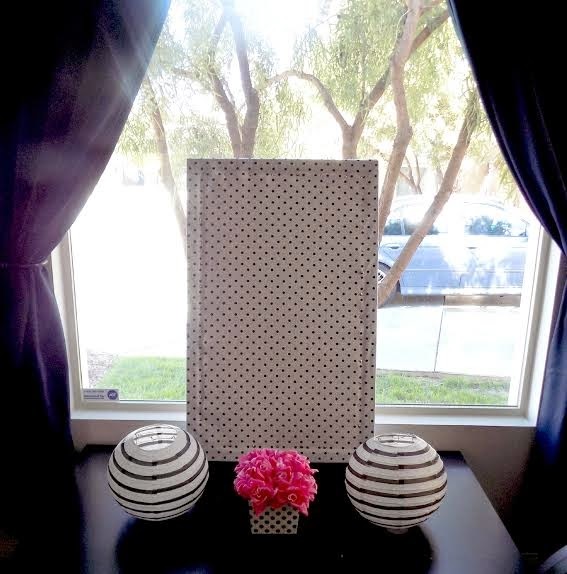 My vision board was covered in this lovely polka dot fabric (tutorial coming soon). 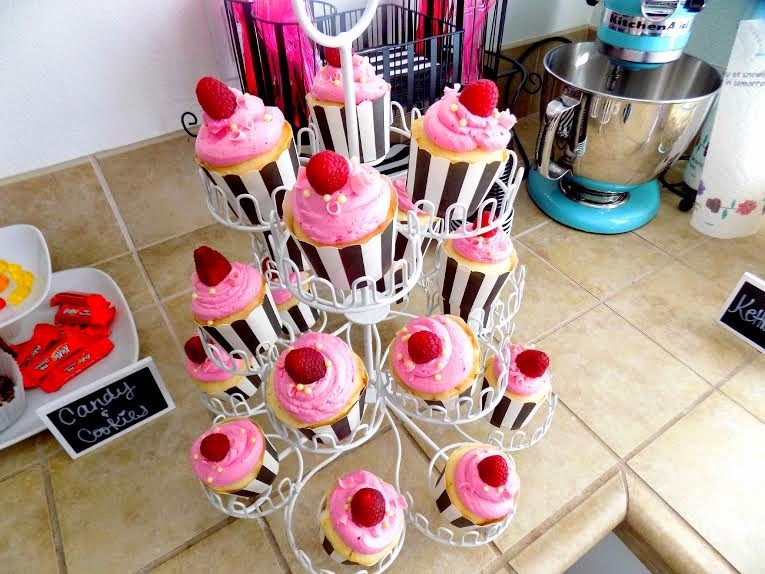 My fellow blogger and friend Vardouhi (aka Figs On Top) made these delicious lemon raspberry cupcakes. 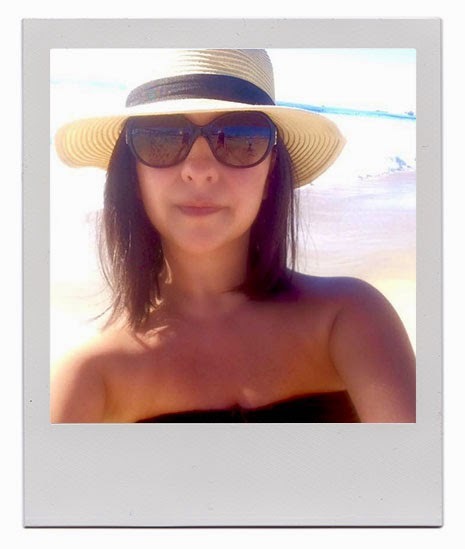 She has the most amazing recipes! 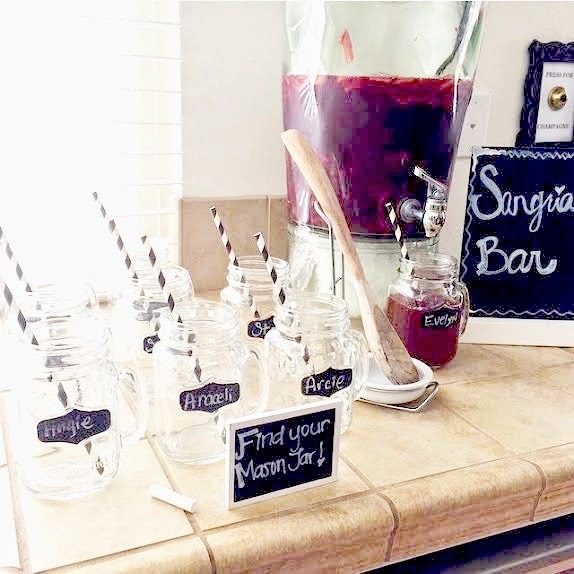 I had an amazing Sangria set up. My best friend made the sangria...I really need to ask her for that recipe. 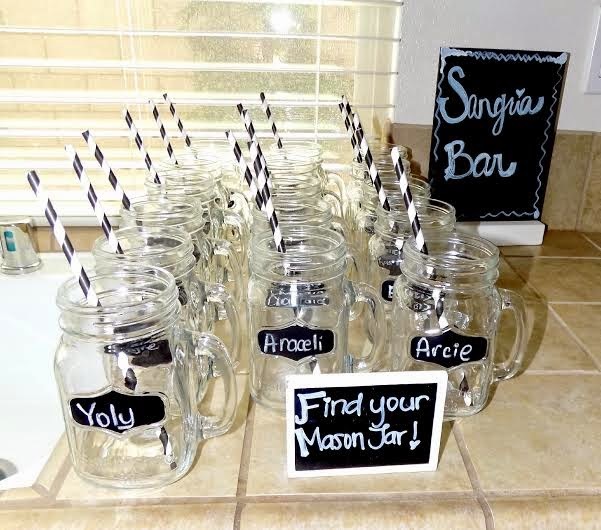 How amazing are these mason jars with chalk labels I found at Ross? 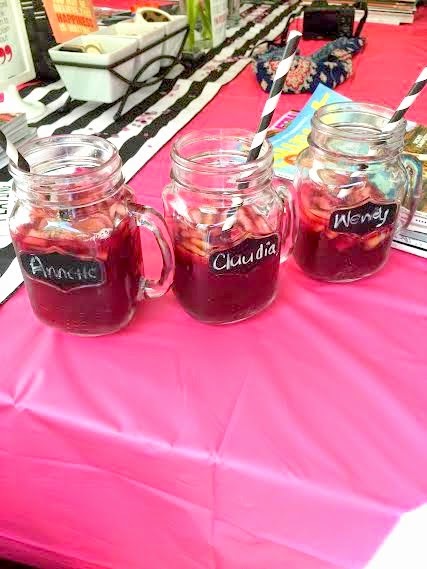 I used regular chalk to write all the girls' names, but next time I need to use a chalk pen because as we served the sangria into the jars I kept erasing the names. 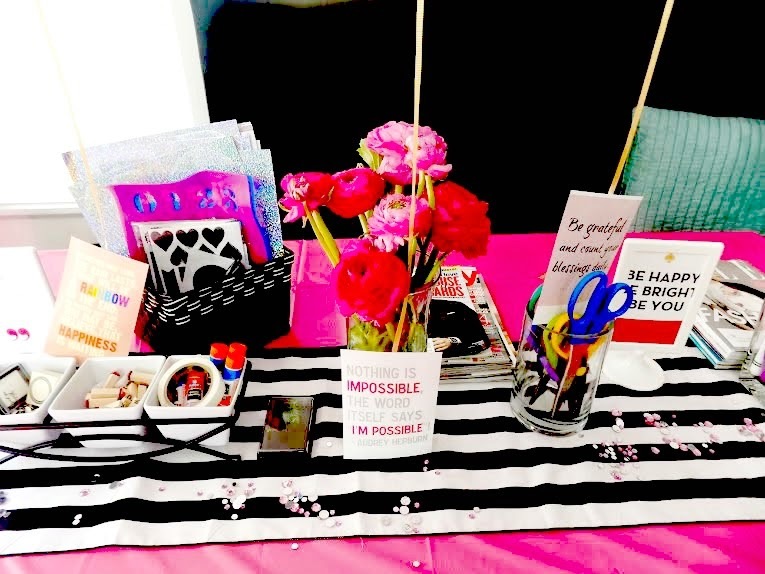 Here are all the ladies working on their vision boards. All the boards came out great. 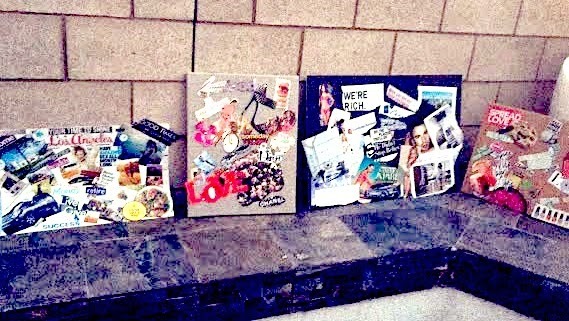 Take a look at some of the finished products! 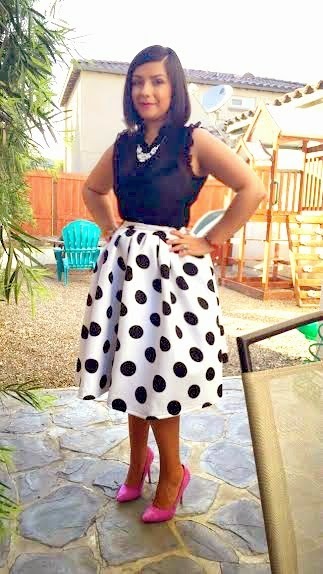 Last but not least, this was my outfit for the party. I hope all the ladies had an amazing time because I know I did! 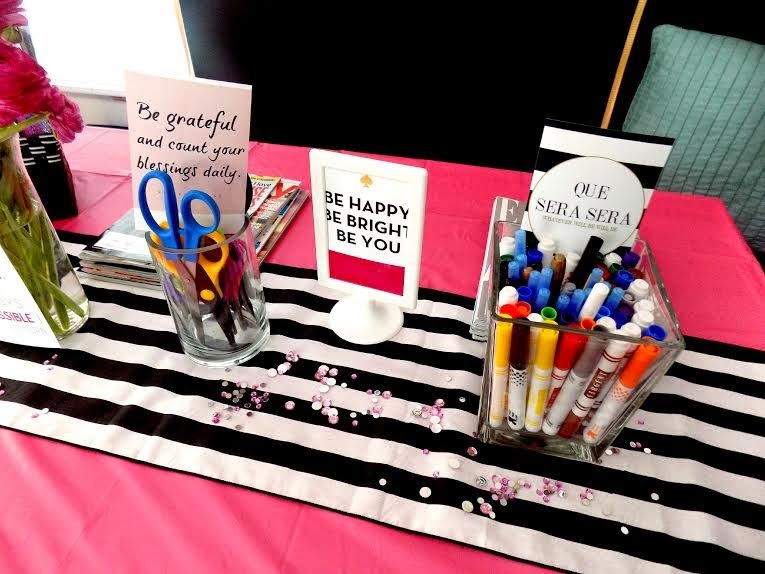 We did promise that we would make this an annual event so that we can see all the things we have accomplished from our vision boards. So I can't wait until next year! Thank you for this. I'm going through a really hard season & getting ready to hit the restart button so this is perfect. This was an awesome idea that I must share with my cousin. We were just talking about vision boards that her and her hubby wanted to create.